Third party liability insurance or public liability insurance provides protection for businesses and business owners should a claim be brought against them for damages. In this sense of the word damages can include any injury that occurs to a member of the public on your property, tripping over a loose piece of carpet or a piece of equipment. Public liability insurance also covers business owners in case they cause damage to their client’s property, for example you would be covered if a tool was dropped and tiles are broken. 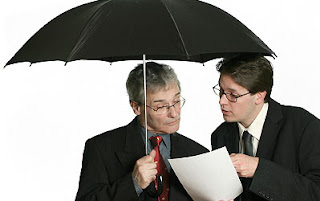 Business insurance insurance is not a legal requirement for sole traders or the self employed. However it is strongly recommended they take out this type of insurance especially if they want to expand their businesses. Many self employed sub contactor for larger businesses, for these public liability insurance is vital as the main contractor’s insurance policy will contain a clause stating that they can only employ those with this insurance. For those who do not take out public liability insurance this can mean a loss of business. With the public becoming increasingly aware of public liability insurance it is becoming increasingly important to take out this cover. The public are now looking to take their business to those companies with this level of cover, especially in such areas as children’s activity play areas or animal farms. Public liability insurance is not just there to cover the general public in case of damage caused by businesses but also to cover businesses in the event of them being sued for damages or injury. Of course no business sets out to cause damage or injury but accidents do happen and it is better to be protected should this happen than leave it to chance and have to find the money to cover any damages awarded from somewhere.